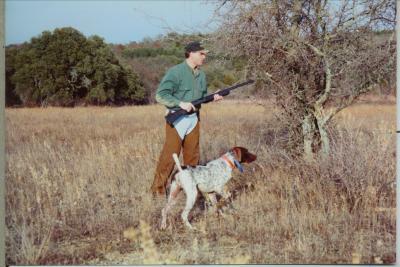 Anderson Ranch Gundogs has years of training experience with proven track record of putting out some of the top bird dogs and trial dogs. 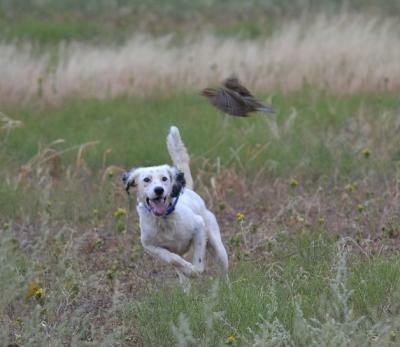 Our customers have come to understand the difference in our program and experience in reading dogs and building foundational building blocks for the more advance training to make a top notch bird dog and trial dog. 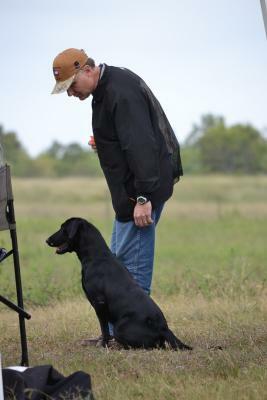 We train both Pointing and Retrievers. 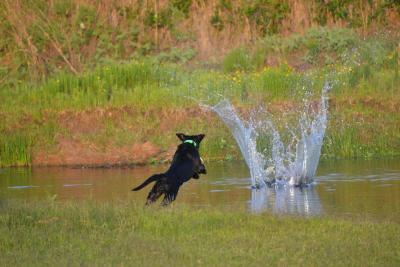 Call to book your gun dog training spot. 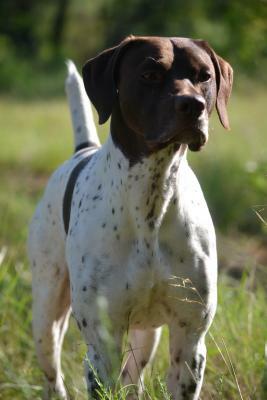 One of our German Shorthair Pointers on a stylish point. 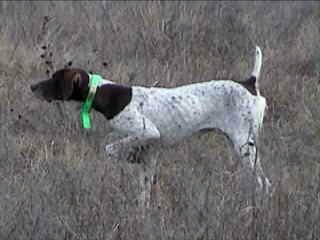 Diamond was the foundation to our five generations of German Shorthair lines. The Anderson's have been training Brittany's for us for about ten years. The Anderson's are not cookie cutter type trainers, each dog is evaluated and trained at the dogs own speed and maturity lever. We recommend to all of our customers to consider Anderson's when considering a trainer. The Anderson's train dogs because they love training, it is not just a job for them, or a way to make money. When I get a compaint back about a trainer, I don't send anyone to that trainer again. Its too expensive to buy a good dog and have some would be trainer mess up your dog. So, if your considering sending your dog out to be trained do your homework first, don't just accept a business card or website as being all you need to consider first. I can send you to dozens of satisfied customers of Anderson Gun Dog Training Classes.